ALPSP full members have free access to the OECD Research and Development Databases. Knowing where R&D money is flowing and what the trends in R&D employment are can significantly impact on strategy. These databases provide detailed information on R&D activities in OECD countries and beyond, both in terms of where the money is coming from (government, private sector) and who is performing the work (government, industry, higher education). Two databases are available. Provides, twice a year, the most recent available annual data on R&D expenditure and personnel by sector: government, higher education, industry, and non-profit. It also provides data on R&D expenditure by foreign affiliates, patents applied for and granted, and the technological balance of payments. 29 of the 30 OECD countries are covered, as well as Argentina, China, Israel, Romania, Russian Federation, Singapore, Slovenia, and Chinese Taipei, for the period 1981 onwards. Breaks down the information to a much finer level of detail, showing expenditure and employment by industrial sector and field of science. In addition, expenditure is broken down by type of cost, and employment by type (researcher or support staff) and qualification of employee. All OECD countries are covered from 1981 onwards. 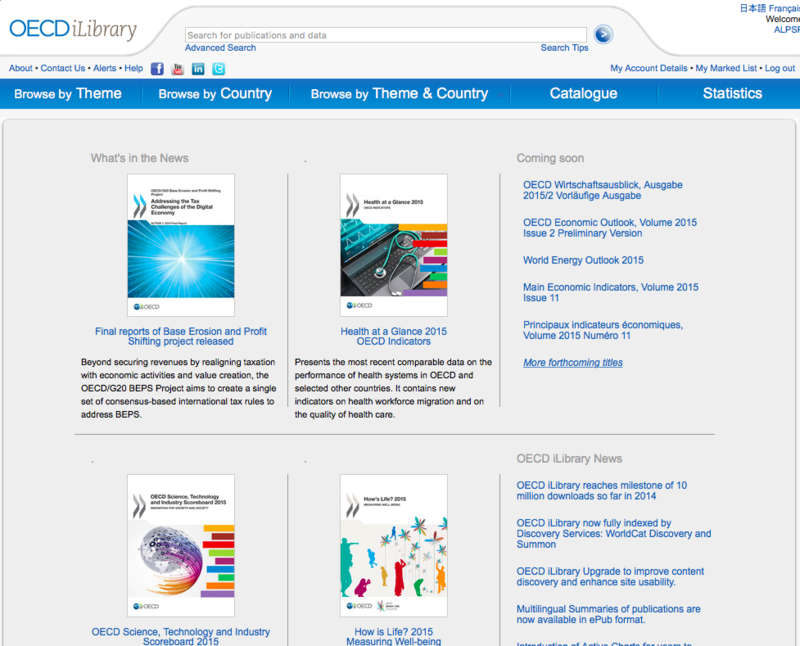 The reports are also available for purchase via the OECD Bookshop.